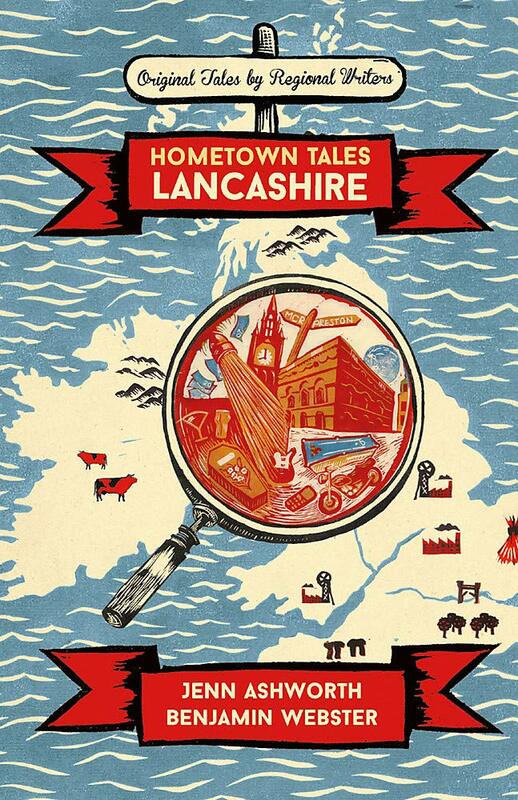 Hometown Tales: Lancashire is composed of two novellas, After the Funeral, the Crawl, by Preston’s Jenn Ashworth, and JUDAS!, by Lancashire born Benjamin Webster. Both tales are written around the theme of home, and in this instalment the home is Lancashire and its surrounding areas. Jenn Ashworth’s novella is an observation of a couple’s relationship as they navigate multiple pubs in Preston. It’s a delicately told story that uses the theme of hometown as a tool that forces its characters to address the cracks in their relationship. The pair in Ashworth’s story have become overly familiar with each other, and it’s difficult to not read After the Funeral, the Crawl without wanting the characters to improve in the manner that their other half wants them to, but from the beginning the tone of the story is an uncomfortable indication that this won’t happen. This becomes more and more prevalent as the reader discovers that unhappiness seeps through every tier of the relationship. Core themes in the novella are trust, or a lack of it, which may not be unwarranted in the story, and dissatisfaction. Emma is unhappy due to her partner not being the man she wishes he was, while her partner’s frustration comes from loving her but knowing she isn’t happy with who he is. Ashworth’s concise style and slightly detached tone gives the reader space to make up their own mind about the characters, and there are a few moments of happiness that stand out heavily in the story due to Ashworth’s writing allowing the weight of the affection to hit. When you reach the end of After the Funeral, the Crawl, there is a desire to know for certain how the characters and their relationship end up that isn’t entirely met, but there is a slight indication – through tone mostly – as to what does happen. Like reality, After the Funeral, the Crawl treats hometown as a place that can cause people to involuntarily revisit persistent memories, but not in order to move forward, but in order to face unpleasant truths about themselves and each other, and in this instance it makes for an enjoyable, easy read. Benjamin Webster’s contribution, JUDAS!, exists in the fantastic. While in After the Funeral, the Crawl hometown is somewhere characters are attached to simply because it’s where they’re from, in JUDAS! hometown is a place characters want to remain and celebrate because it’s culturally enriching and a source of pride. JUDAS! weaves many topics together, such as Manchester’s distinctive character, its continual physical overhaul and its issues with homelessness. JUDAS! begins with Marcus meeting Ernest, and what follows quickly turns into a supernatural journey into Manchester’s history and the events held at the Free Trade Hall that emotionally challenges the characters. A large part of JUDAS! is about moments, and a theme that rises to the surface as the story unravels is nostalgia. JUDAS! shows why nostalgia can have an effect on people, in particular Ernest’s love for the city and Marcus’s feelings about his father. The characters In JUDAS! ultimately capitalise on the physical manifestations of the themes in the story: moments in the Free Trade Hall and people wanting to experience them. How Webster executes this turn of events is clever, and there is also closure at the end (although the very final section of the novella does risk making the reader unsure as to what has happened overall). Webster’s style of writing is efficient at looping multiple ideas together, which fits JUDAS!’s many features, though at times his way of going between the present and the supernatural and between Marcus and Ernest can blur and make it difficult to know if what you’re reading is something that is happening now, a memory or a supernatural event. Thankfully, by the end of the story you’re in a situation that all of the preceding events have led up to, making everything beforehand clearer. The latter is something else Webster does well, which is embedding the possibility of the unusual happening early on and in such a way that the reader easily accepts the strange might occur before it has been clearly hinted at. This, especially, helps make JUDAS!, as a whole, satisfying. Hometown Tales: Lancashire is successful for many reasons: Ashworth’s and Webster’s stories are hugely different but stay rooted to the shared core theme, physically, the book is a pleasure to look at, hold and read, and I found myself reaching for it even when not reading it, and it’s also short enough to be completed in one sitting. For anyone interested in the stories that Lancashire can produce, Hometown Tales is a good starting point. The series alone is commendable for being a sweet literary map of the country and deserves attention for being so and for bringing writers like Jenn Ashworth and Benjamin Webster together. Hometown Tales: Lancashire is the first of multiple reviews that Akeem Balogun will be sharing on Inkposts throughout October.